Months of freezing cold temperatures and drying heating can leave skin in much need of some TLC. With Spring just around the corner, you may need a little extra help in nursing your skin and hair back to health. Vanity Van has put together a list of our top beauty tips on Spring time hair, nails and skin routines to aid you in your Winter recovery. Chilling winds and cold, dry air can cause havoc on our nails, leaving them flaky and damaged. So, what is the key to getting your nails back to their prime state? Our top beauty tip for nails is to apply a generous layer of organic nail oil daily to your nail bed and the skin around it will ensure that your nails are hydrated and your cuticles manageable. When the skin around your nails becomes cracked, applying fragranced products can actually worsen the area, so we would recommend opting for a non-fragranced, sensitive oil so we don’t anger the area even further. Washing your hair every day strips it of its natural oils, resulting in your locks crying out for a dose of moisture. If there’s anything you should be investing your pennies in this season, it should be a high-end conditioner. It not only helps to improve the look of dry, weather damaged hair but it also helps to control the frizz in humid conditions. Lastly, treat your hair to a weekly hair mask as it will not only act to re-nourish your hair after it has been exposed to cold temperatures, but it also prepares it for the heat of the upcoming seasons. While your skin would surely not have thanked you for a bit of overindulgence over the Winter months – its time to start anew with your skincare regime to help you to transition into spring in style. Blow the cobwebs off of your exfoliator and indulge in a thorough regular scrub to remove any dead skin cells. Why not push the boat out and invest in regular deep moisture facials to plump up your skin for the new year? And it goes without saying, the most obvious beauty tips for healthy, plump skin is to keep yourself hydrated with plenty of water. 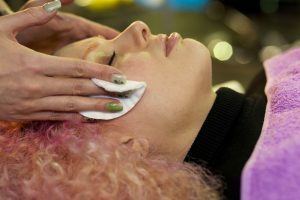 A beauty agency specialising in creating bespoke experiences for corporate clients retailers and brands using hair, make up, beauty and holistic treatments. Wow your teams and dazzle your customers.